Hi there! 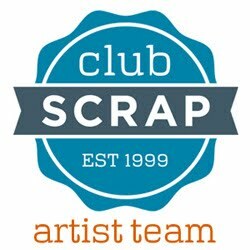 Welcome to the Club Scrap Cherry Blossoms Blog Hop! If you've come from Hetty's blog then you're following right along! The Cherry Blossoms kit is so pretty with Cherry Blossoms and Japanese lanterns and,...ahhh Love it! With the Japanese theme of this kit, of course I had to do some Origami! I made a set of Origami envelopes in a little tin. I found the tin at Micheal's on clearance for $.99! 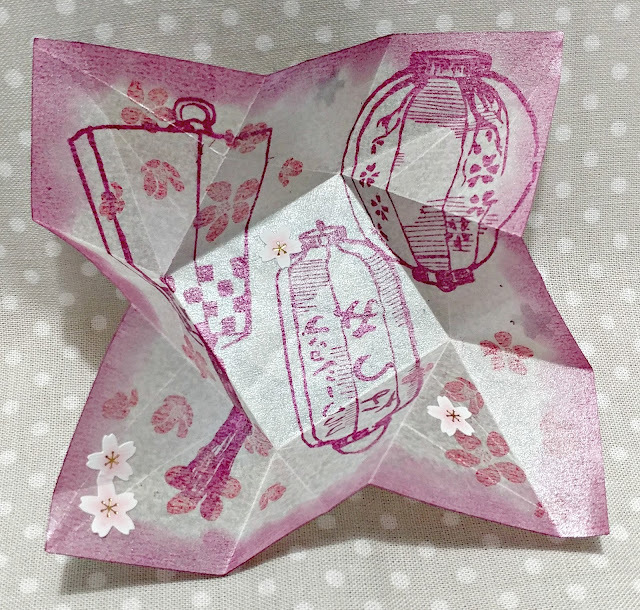 I decorated the top and insides with papers and stamped images from the kit. I made 6 envelopes that fit in the tin. The envelopes are so cute all folded up! I used stickers and cut out stamped images in the inside to decorate. You could put small little gifties in each envelope to give away! I started with a 3 3/4" square piece of paper. I daubed ink on the edges of the gray shimmery paper from the kit. I used 4 different colors. I stamped the papers with images from the unmounted rubber stamps from the kit. 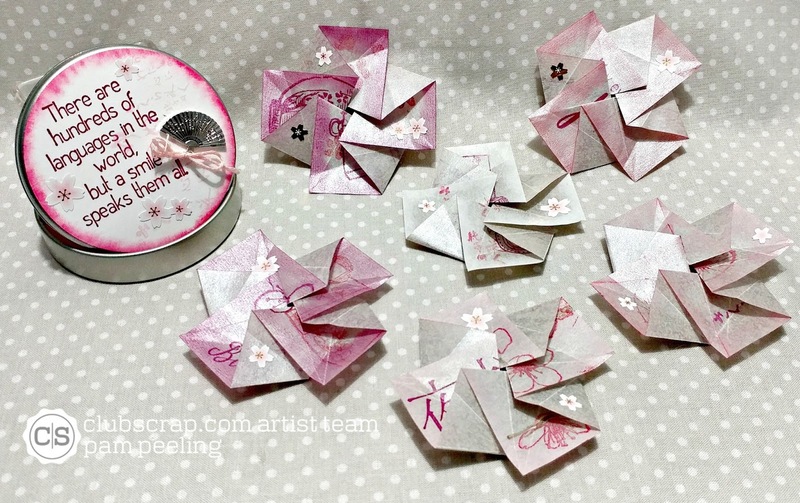 I used some Cherry Blossom stickers from the kit to decorate further. 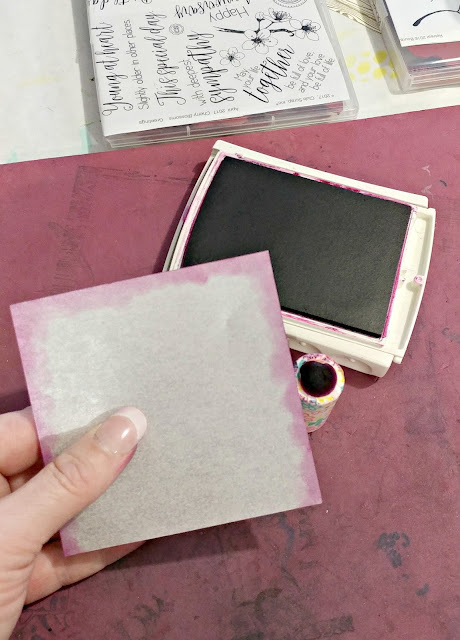 Hop along to Tricia's blog to see what she made with this beautiful kit! So cleaver and so pretty! Super CUTE idea this is! love your decorated container too! What a fun idea! 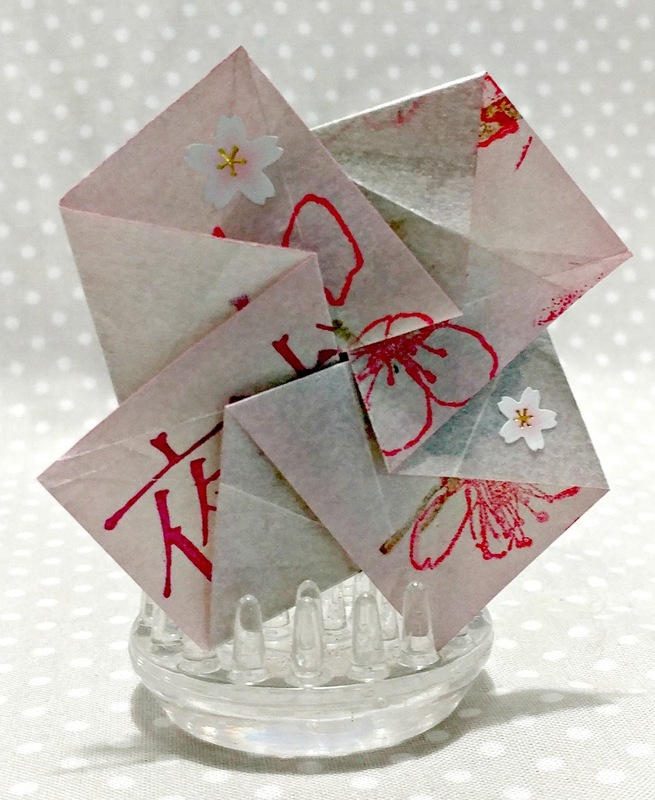 Love the little origami envelopes...will have to check out the "how to"! I love your origami folded art!! 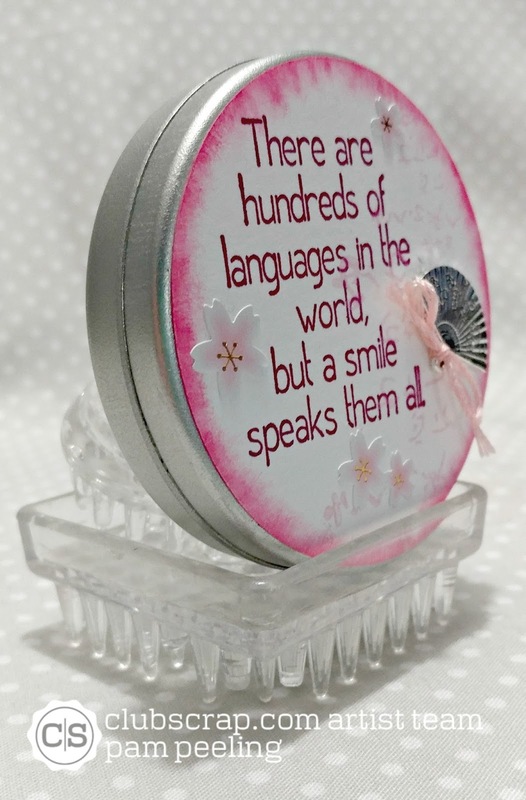 So cute and perfectly packaged inside the tin! Those little pretties are the best! This would be a great project to do with elementary-aged kids - maybe Girl Scouts? - because it is easy to do and they will get a kick putting notes in them and giving them to their friends. 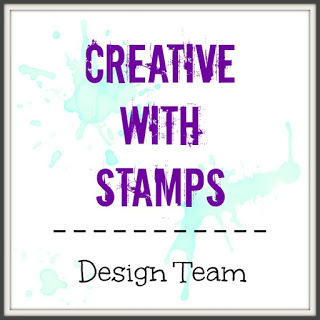 It could also be an activity where you address the envelope to someone and write one compliment inside. Love it! Those are super cute. They would be perfect for a little love note in a lunch box. Great idea! Totally cute and wonderful. Beautiful folding, Pam. Such fun! 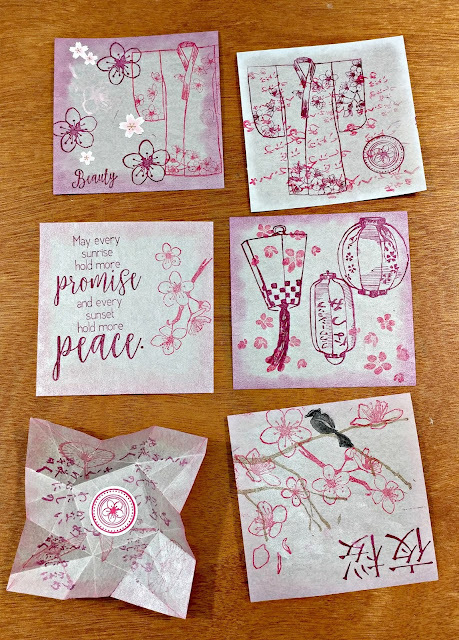 I love origami goodies and these envies are so cool with all of the stamping. 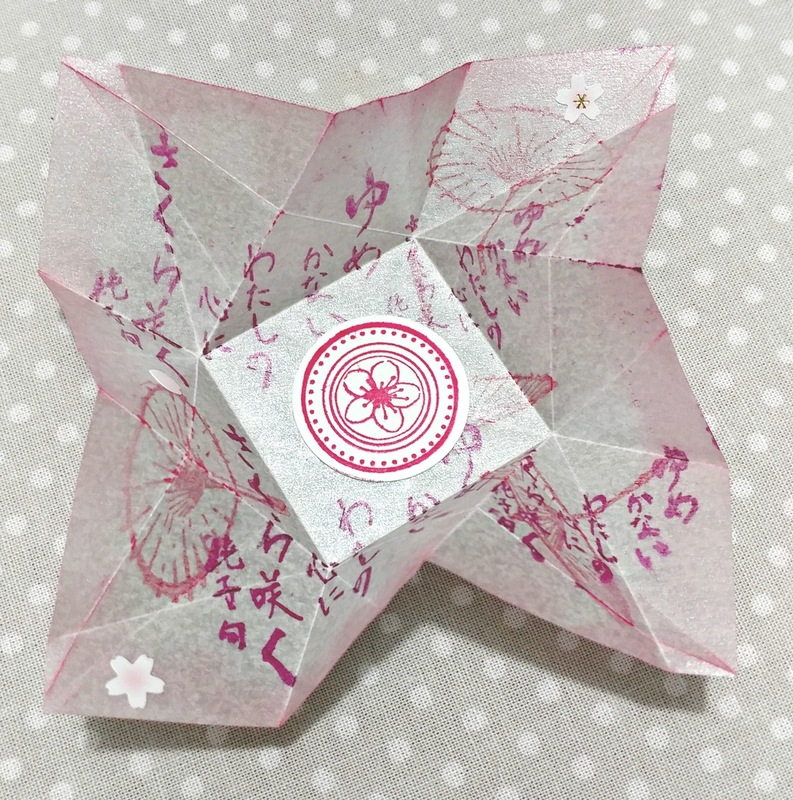 How perfect your origami is for this kit. Very clever! Wow! Super clever and ideal with the Cherry Blossoms collection for sure! Oh Pam! You had me at origami...How cute is this?! I can think of so many ways to use this. Thanks so much for inspiring me today! 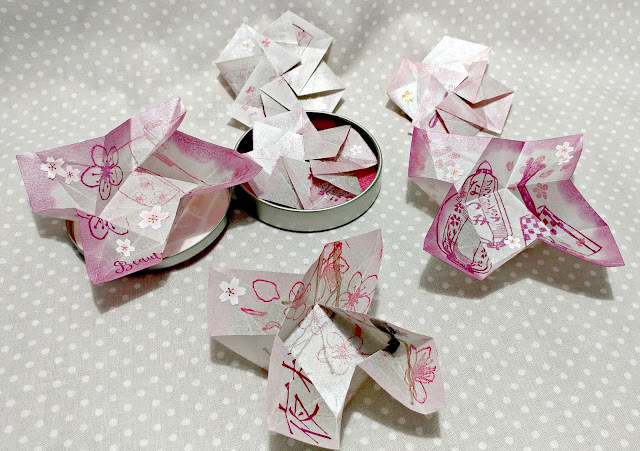 Super origami fold! So cute!!! What a great project for this collection! 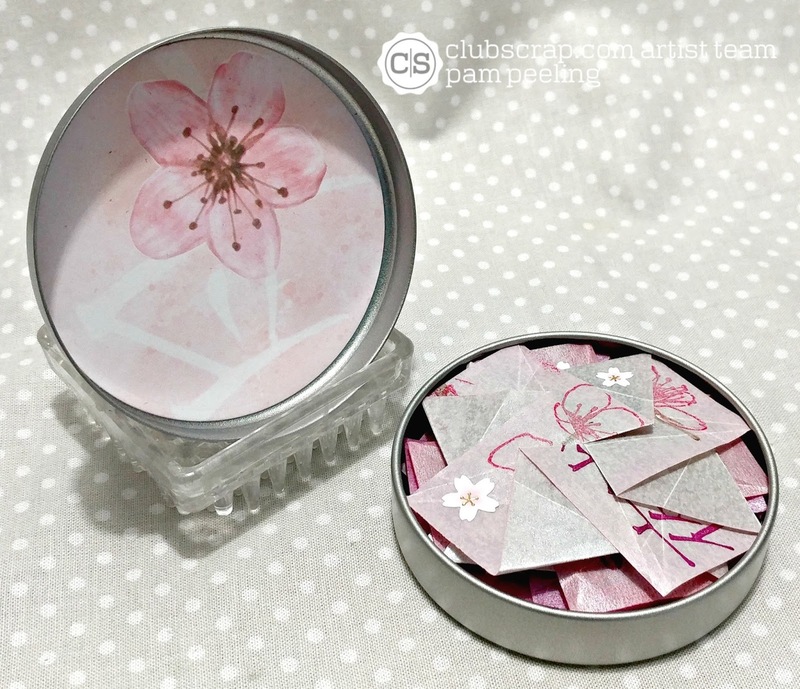 I love how you transformed your little tin into such a beautiful work of art! Great work with Cherry Blossoms!